Commerce Minister Tipu Munshi said four wheeler-manufacturing policies would be implemented within the next 4 months. He said, “If this policy is made, the car parts will be manufactured in Bangladesh and the four-wheeler car will be manufactured in the country with that part.” He said, hopefully, we could start export in Bangladesh by exporting Bangladesh Made Car in Bangladesh within 6 months with parts made in the country. SIAM – ACMA will jointly organize 2nd Indo-Bangla Automotive Show in 2019 at International Convention City Bashundhara, Dhaka, Bangladesh. The minister said his optimism during its inauguration today. “If we can manufacture parts in our country, then it will really help us make that kind of vehicles in Bangladesh.” He also encouraged tyre makers to come to Bangladesh. India is the sixth largest producer of automobiles in the world with an average annual production of 24 million vehicles. Bangladesh is India’s fifth largest automotive market. 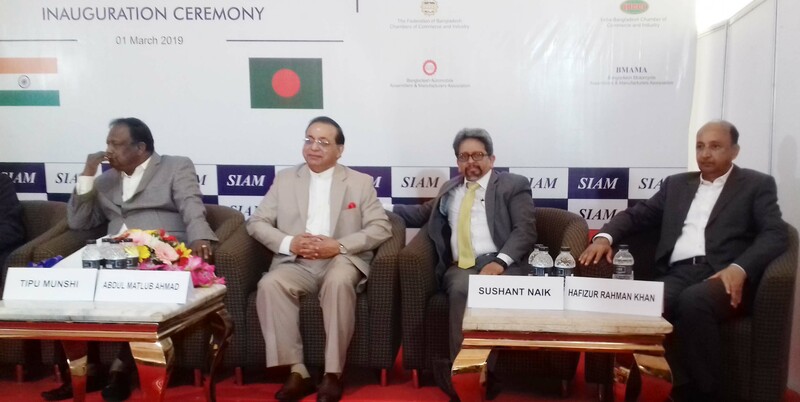 SIAM – ACMA jointly organize 2nd Indo-Bangla Automotive Show in 2019 in Bangladesh. After conducting the first ever Indo Bangla Automotive show back in 2017 SIAM (Society of Indian Automobiles Manufacturers) are organizing the Automotive Show again in 2019 between 28th February 2019 to 04 March 2019 at International Convention City Bashundhara, Dhaka, Bangladesh. 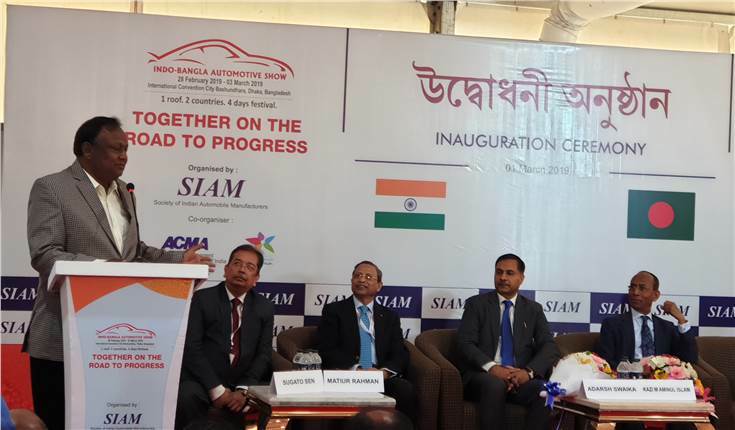 The 4 days 2nd Indo–Bangla Automotive Show will be supported by Ministry of Heavy Industries & Public Enterprises, Government of India, High Commission of India in Dhaka, India – Bangladesh Chamber of Commerce & Industry (IBCCI), Bangladesh Automobile Assemblers & Manufacturers Association (BAAMA), Bangladesh Motorcycle Assemblers & Manufacturing Association (BMAMA). This Indo-Bangla Automotive Show will feature participation from many Indian Automobile manufacturers like Ashok Leyland, Bajaj Auto, Eicher Motors, Force Motors, Hero MotoCorp, India Yamaha Motor (ACI Motors), Mahindra & Mahindra, Maruti Suzuki India, SML Isuzu, Tata Motors, TVS Motor Company, VE Commercial Vehicles along with their Bangladeshi partners. Many component manufacturers and few tyre manufacturers are also participating in the show. At that time, Chairman of the Nitol Niloy Group, former FBCCI President and Indian-Bangla Chamber of Commerce Industry (IBCCI) Abdul Matlub Ahmad, Runner Group Chairman Hafizur Rahman, Uttara motor’s Chairman Matiur Rahman along with the workers of various motor vehicle manufacturers were present there. With economic growth of over 7 percent, greater disposable incomes, and improving road infrastructure, the demand for automobiles in Bangladesh has increased. The automotive sector accounted for 7.1 percent of India’s GDP in 2015-16. India is also exporting more than 3.5 million vehicles annually, and Indian companies are increasingly gaining acceptance on a global scale. Already, a number of Indian companies have set up operations in Bangladesh. Tata Motors’ joint venture with the Nitol-Niloy Group has an assembly plant in Jessore. India is the sixth largest producer of automobiles in the world with an average annual production of 24 million vehicles. Bangladesh is India’s fifth largest automotive market. Hero MotoCorp is setting up a two-wheeler plant in Jessore. Ashok Leyland and Ifad Auto have assembly plants at Dhamrai. According to the former president of the apex business body, FBCCI, Abdul Matlub Ahmad, even 30 years ago 95 percent of the commercial vehicles in Bangladesh were from Japan and London. The minister later on visited the stalls of the fair. In the beginning, he visited the hero car stall and expressed his satisfaction with the standard of the car. Later, he visited the Indian stall along with Runner, Uttara Motors TVS, and visited various Indian stall and visited the pavilion of Tata Motors. He sits on a Tata 50-seat AC car and express his satisfaction regarding on quality. Abdul Matlub Ahmad, Chairman of Nitol-Niloy Group, a distributor of Tata Motors, said that in the streets of Dhaka four thousands cars government would drop road soon. 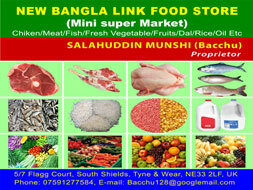 He said that Indian-Bangla Chamber of Commerce and Industry (IBCCI) is supporting the gathering of buyers of the fair. The minister gave a lot of time in Tata Motor’s stall and joined with the tea circle. Various prominent people present in the fair were present. In the last Indo-Bangla Automobile Show, all motorcycle-manufacturing companies in India and Bangladesh are participating in it. Honda has demonstrated their MotorGipi Motor Bike, Yamaha Bike for the Test Ride, Runner launched their Runner Night Rider and Scooter Kite Plus in a small form. He said, this year all the Indian and Japanese motorcycle-manufacturing companies are participating in Indo Bangla Automobile Show 2014. We hope that we will have many surprises like the last show. With automobile and automobile companies, we will also look at the Government Dept, Dealer, Spare parts Manufacturing Company. There will also be seminars and workshops as well. The main purpose of SIAM is not only to show the world-class automobile, but also riding, safety and more. Bangladesh Investment Development Authority (BIDA) Chairman Kazi M Aminul Islam said the driver of development is mobility and the consequences of development are also mobility. “So the automobile industry is very important.” “We have seen a lot of investments in two-wheelers due to our friendly policy. If we can make good policy, three-wheelers and four-wheelers industry will also develop.” But for that, he said, the supporting parts and the service industry have to be developed.